Reycita Cosen (b. 1927) is a daughter of potter Pasqualita Baca and a niece of Nestora Silva. 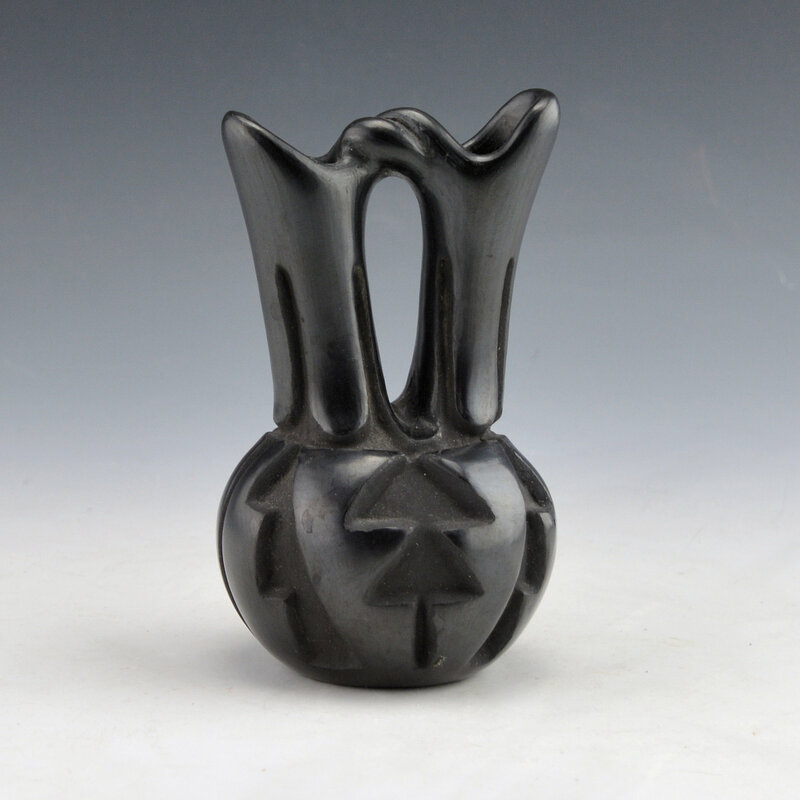 While she no longer makes pottery, she was known for the complex carving on her pottery. 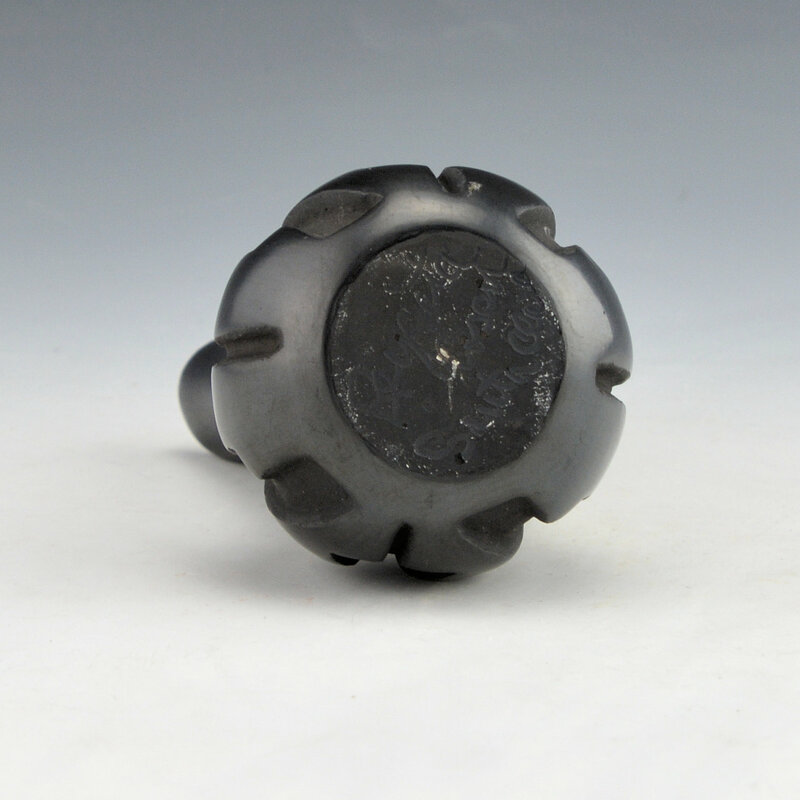 Each piece was coil built, carved, stone polished and traditionally fired. 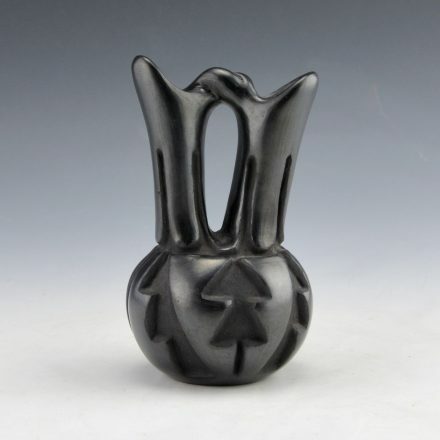 This is one of her classic carved wedding vases. The body of the piece has carved rain and lightning designs. The spouts have carved eagle feathers and connecting the two spouts is a twisted handle. 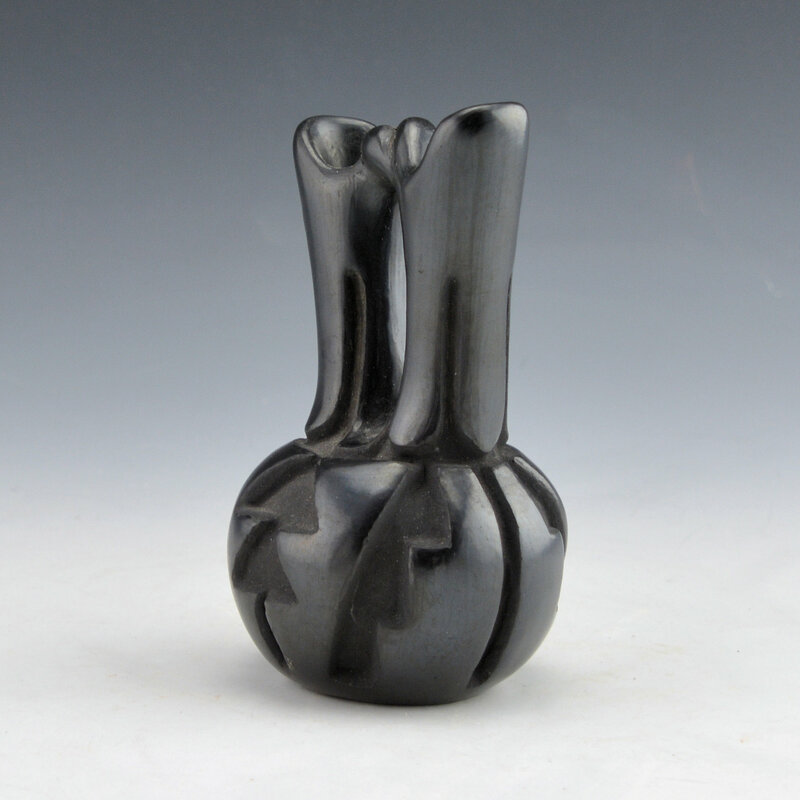 The vase is fired a silvery black. It is signed, “Reycita Cosen”. It is in excellent condition with no chips, cracks, restoration or repair.